Photograph by Matthew Owen for Annie's Publishing. Used with permission. 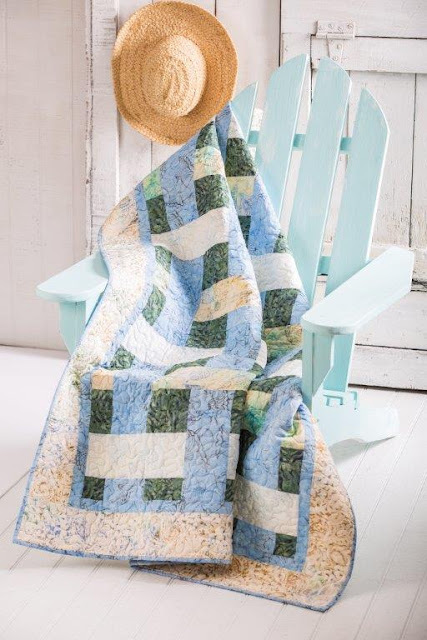 Here is "Lounging at the Beach", my latest pattern published in the Quilter's World Summer 2017 edition by Annie's Publishing. It measures 50" x 66" with easy-to-assemble blocks. Remember the beach chairs we take to the sand? 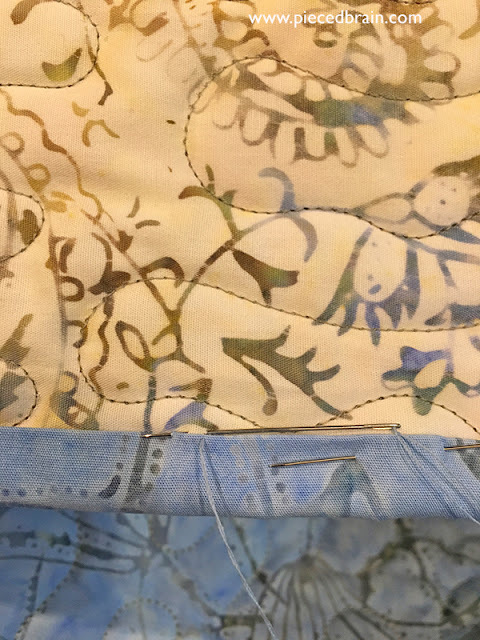 That is what I was thinking of when I designed this quilt. The weave effect is achieved by changing fabric placement on the blocks. Aren't they perfect? I love their colors and prints, making them the right choice for the sample quilt. The blues of the water, greens of sea plants, and sandy tones took me back to my growing up years when I lived in a beach town in southeast Brazil. Of course, you can use any fabric which reminds you of the beach. In my book, though, these batiks were a must. 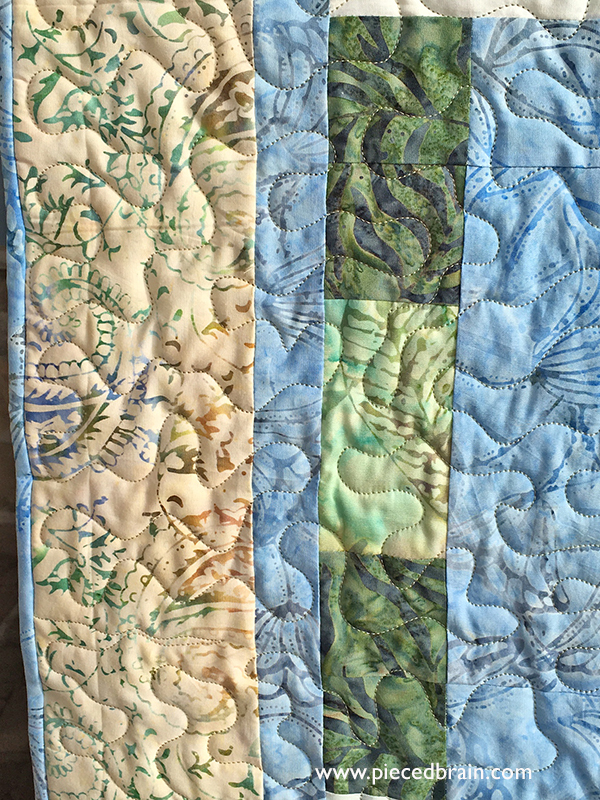 I quilted it using wavy lines, like the back and forth of the water in the ocean. 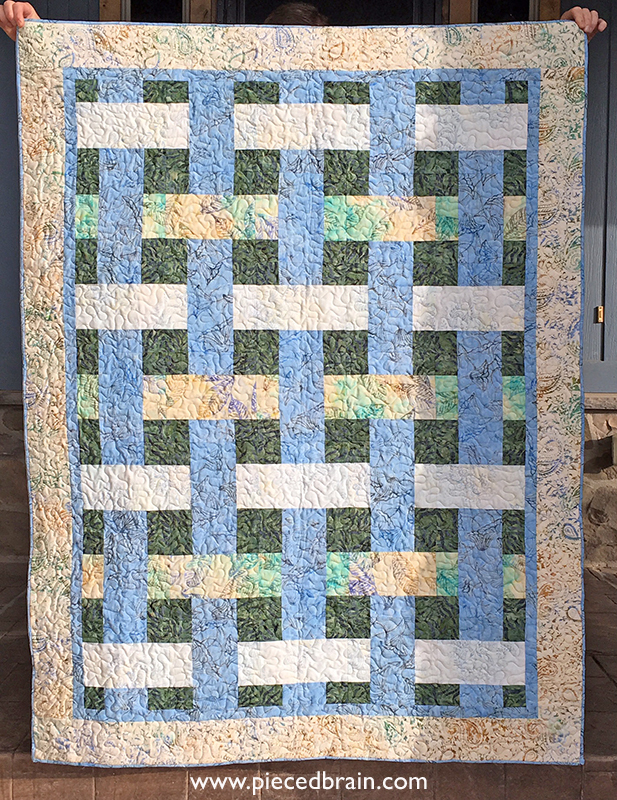 This quilt was pieced using Aurifil 50wt thread: no bulk on seam intersections and no lint - just a crisp finish. I have a second pattern in the same magazine, which I will show you tomorrow. For now, I know Spring has just started, but I am dreaming of summer at the beach. Hi Denise, that's a great quilt - it does look like a beach chair. The Tonga fabric suites it well. Super fun to have such a pretty shot of it!